Celebrating The National Park Service's Centennial and a Major Conservation Victory on The Blue Ridge Parkway | Protecting the Blue Ridge Parkway in N.C.
ASHEVILLE, N.C. (AUG. 23, 2016)—Today a special celebration was held at America’s most visited unit of the National Park System—the Blue Ridge Parkway—to commemorate the 100th anniversary of the National Park Service. With funding from the federal Land and Water Conservation Fund (LWCF), more than 5,300 acres along the Parkway and much of the spectacular views from Waterrock Knob are now permanently protected. At 6,292 feet, Waterrock Knob is the highest peak in the rugged Plott Balsam Mountains and a major scenic Parkway destination near Waynesville, Sylva and Cherokee. The creation of the new Waterrock Knob Park, through collaborative efforts led by The Conservation Fund and the National Park Service with significant donations from The Nature Conservancy (TNC), the Conservation Trust for North Carolina (CTNC) and the Southern Appalachian Highlands Conservancy (SAHC) protects a vast landscape of rare Southern Appalachian spruce-fir forests visible from the visitor center and the summit of Waterrock Knob. This substantial effort was made possible with funding from the LWCF—a bipartisan, federal program that uses a percentage of proceeds from offshore oil and gas royalties, not taxpayer dollars—which leveraged significant private funding from Fred and Alice Stanback, Brad and Shelli Stanback and other private supporters who helped purchase lands being donated to the National Park Service by The Conservation Fund, CTNC, TNC and SAHC. LWCF is annually funded by the U.S. Congress, including North Carolina’s U.S. delegation representing Haywood and Jackson Counties: U.S. Senator Richard Burr, U.S. Senator Thom Tillis and U.S. Representative Mark Meadows. R. Michael Leonard, Chairman of The Conservation Fund and ninth generation North Carolinian, stressed the historic significance of this effort and the importance of the LWCF in preserving the rich landscapes of the Southern Appalachians and sustaining a vibrant recreational heritage in Western North Carolina. “LWCF has been critical to conserving the invaluable natural heritage of North Carolina for decades, and now it has leveraged private donations to enable the creation of a 5,000-acre protected pearl along 6,000-foot-high ridges where our beloved Blue Ridge Parkway crosses Waterrock Knob,” said Leonard. 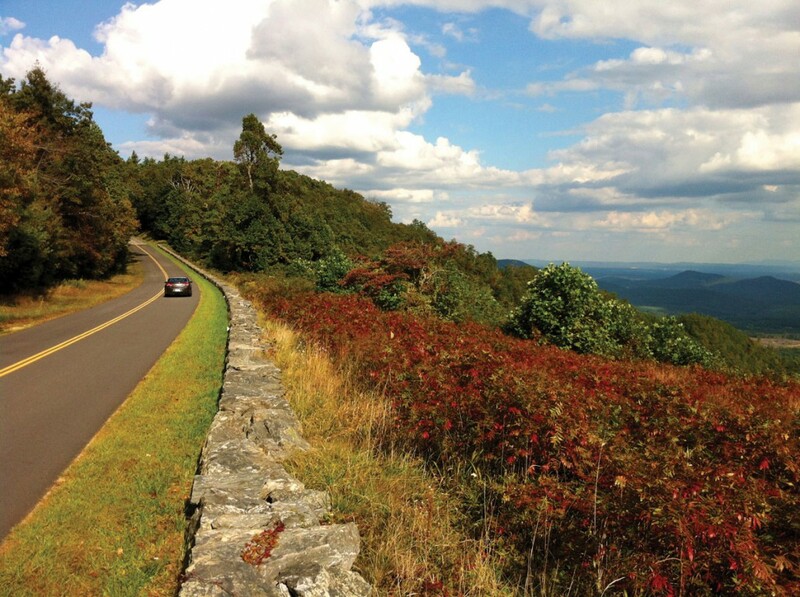 This conservation milestone on the Parkway will allow the National Park Service to greatly expand recreational opportunities and high-elevation hiking trails, creating a new travel and tourist destination on the Blue Ridge Parkway. It will also help secure the headwaters of Campbell Creek, which supplies the drinking water for the town of Maggie Valley. More than 15 million people visited the Blue Ridge Parkway in 2015, resulting in a $952 million economic boost to the neighboring communities and supporting more than 15,000 jobs.